A stunning personalised wedding card. 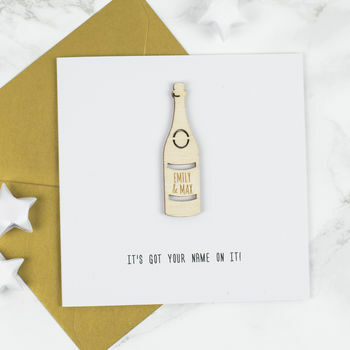 Our personalised wedding keepsake card features a gorgeous wooden bottle of champagne with your chosen personalisation. Our personalised celebration wedding keepsake card is a sweet card which will help you to deliver your congratulations perfectly! 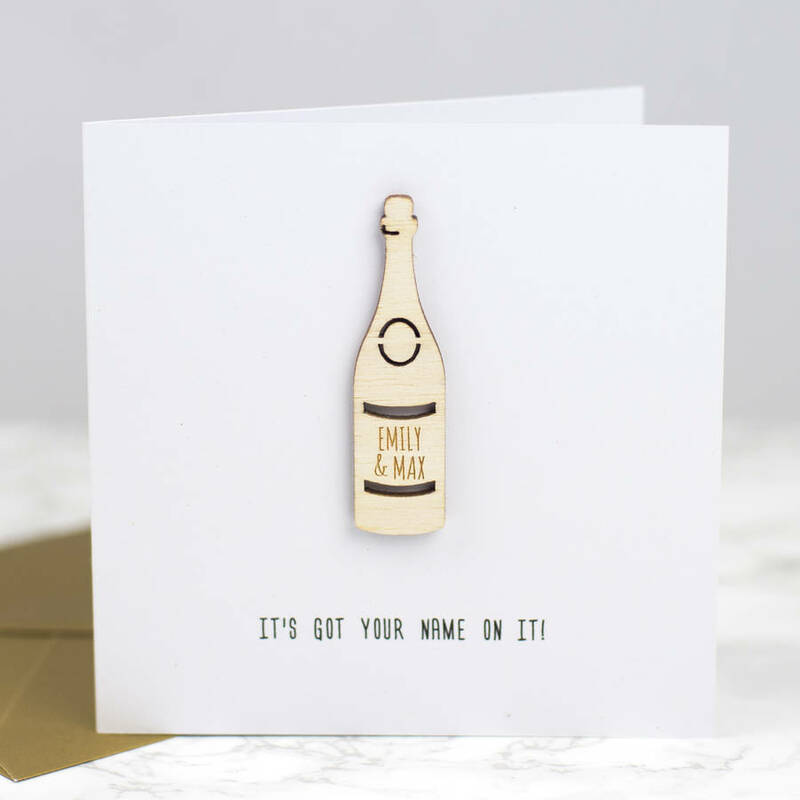 Our Wooden Keepsake Card are made from high quality 100% recycled white card and are finished with untreated, natural wooden detailing.